Most times you would include all the scripts and CSS needed to render all sections as soon as the user visits the page. Until recently it was difficult to define a module’s dependencies, and load what was needed. How likely is it for the user to see the header? What about the map? Safari requests the polyfill for intersection‑observer on demand. No need to ship it to browsers that support it natively. Code Splitting and CSS‑in‑JS react‑router and Next.js have made code‑splitting easy to implement lazy‑loading can be applied to other resources (SVGs, CSS) With CSS‑in‑JS we take code splitting further, loading CSS on demand. Conclusion Componentization makes code‑splitting and loading assets on‑demand easier than ever! 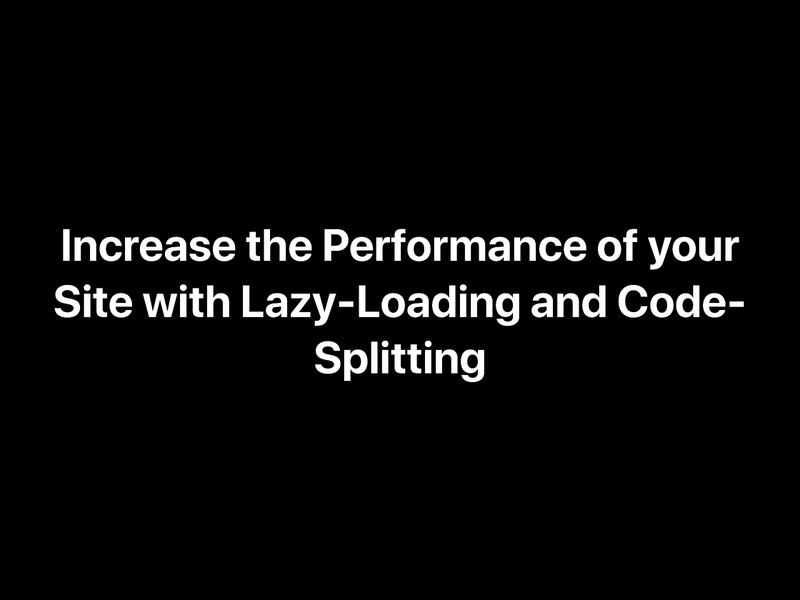 View Increase the Performance of your Site with Lazy-Loading and Code-Splitting on Notist. How to use React-like components together with ES6, Intersection Observer and CSS-in-JS to achieve great performance in our web sites. Jose puts presentations on for free. You can too.